UPDATE: The three judge panel who heard the Winklevoss case today seemed skeptical, during the Ninth Circuit Court of Appeals hearing. Judge John Wallace noted that the the Winklevosses seemed like smart people, surrounded by smart people and found it hard to believe they were duped. "It looks like it's got a lot of just about everything you would want in a contract," Ninth Circuit chief judge Alex Kozinski said while leafing through the settlement paperwork. "It definitely says we have a binding agreement," reports the AFP. The panel is expected to reach a decision in about three months. Anyone seeing "The Social Network" will remember the Winklevoss twins of Greenwich -- the tall, athletic, patrician Harvard men who wanted Mark Zuckerberg to work on a social site for them -- and how they both sued him and Facebook for stealing their idea. Whether their allegation was true or not, the twins and friend Divya Narendra settled out of court for $65 million in 2008. 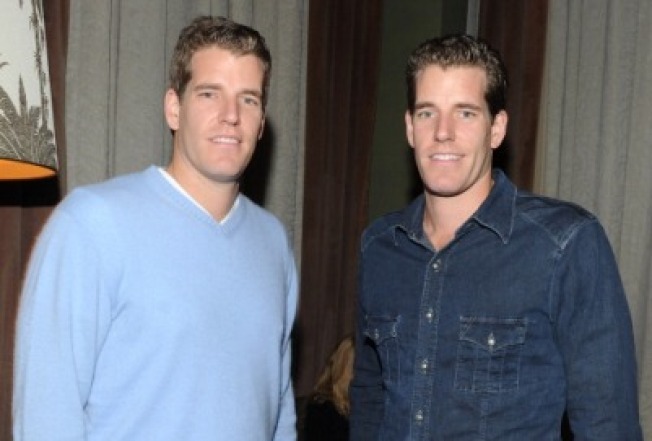 Today, the twins, Tyler and Cameron Winklevoss, and Narendra will try to appeal that decision in San Francisco's Ninth Circuit Court of Appeals, hoping to going after Zuckerberg and Facebook one more time, the BBC reported. Their reason? That Facebook chose to inflate the value of stock when it was doled out in the settlement -- giving the twins a value of $36 a share, when it was giving employees shares valued at $9. Facebook lawyers have called it simply a case of "settler's remorse." The shares are now valued around $140 million. Of course, the Winklevii appealing the settlement means they will be giving up the previous decision and possibly coming out with nothing . But chances are good for the pair, because most analysts believe that Zuckerberg and Facebook will settle out of court quickly before it can tarnish the tech company's initial public offering. "This is about money and matters of principle. They feel they were badly treated. They feel their idea was stolen and that in the settlement they did not get full disclosure as they were entitled to. . . .In America you measure things by money, and this is an awful lot of money."